If you’re a fan of eating seafood, you can help protect marine animals like sharks, rays, and sea turtles anytime you are shopping at the grocery store or eating at your favorite restaurant. Choosing sustainable, ocean-friendly seafood protects these species (and more!) and helps ensure populations thrive over time. Even the animals at the Houston Zoo eat ocean-friendly seafood! Providing all the food for the animals at the Houston Zoo is a big challenge for our Animal Nutrition team. The animals eat a huge variety of fruits and vegetables, meat, seafood, insects, and specialized animal grains. All of it must be fresh and safe, and it’s also great when we can ensure the food is sustainably sourced! Sustainably sourced means that the environment the food came from was not destroyed and other animals were not harmed to provide it. This is something we check for with our seafood that is prepared for animals such as the sea lions, otters, birds, and fish. The Zoo provides more than 31,000 pounds of seafood every year to our animals! 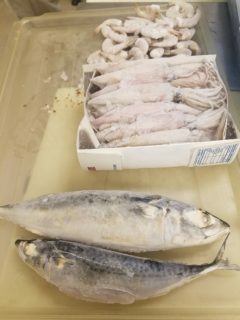 Every day, the Animal Nutrition staff sorts, weighs, thaws, and delivers wonderful seafood to our animals. You might recognize many of these items as things you have seen at your own grocery store, such as clams, mussels, shrimp, and squid. They also receive a variety of fish that aren’t usually for humans (but the animals find delicious!). Most of the seafood comes from a company that many zoos buy from and that follows guidelines from the Seafood Watch organization. Sometimes seafood is bought locally as well from the same grocery stores and suppliers that local Houstonians visit. 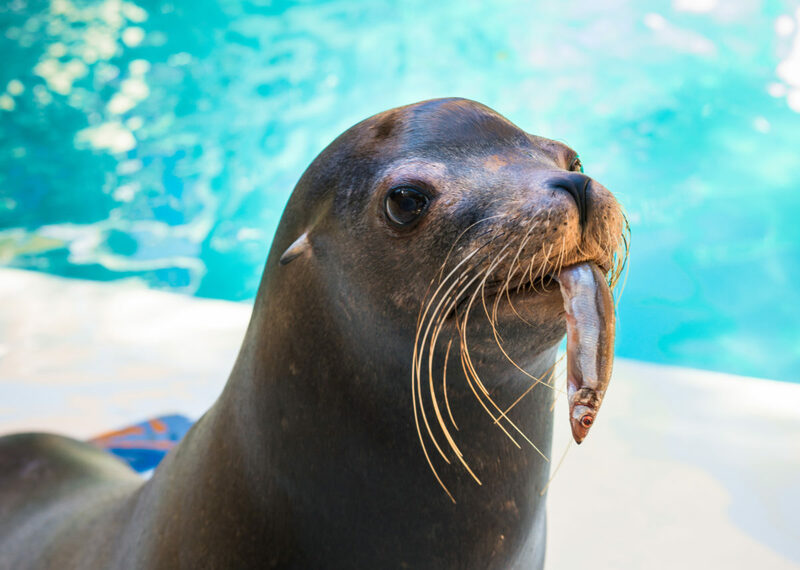 You can also help save animals like sea lions, otters, sharks, and more by downloading the Seafood Watch app to learn which seafood options are best choices or good alternatives. Stay tuned for future posts about our seafood-loving animals!